No images of GreenLink Solar Installations. Greenlink Solar is an Australian Owned and operated business. We are members of the Australian Solar Council and Energy Storage Systems. We supply quality goods at a competitive price to Residential and Commercial customers. Our policy is to meet personally with every customer and conduct a thorough assessment of each property. We analyse the electricity account and design a system which is compatible to the customers usage and future needs. We have been servicing Victoria with Solar since 2010. Payment plans are available to approved customers. Jackson at Greenlink has been good but the sub contractors that they use for installation, are shockingly bad. They broke a heap of tiles on my roof by incorrectly walking on it (my husband explained how to walk on the tiles but they didn't listen and were obviously very inexperienced. They didn't even think the job could be done when they got here because of an old meter box). Made me source 20 more tiles, at my cost. They said they would finish the install on the Wednesday but didn't send anyone, meanwhile all the equipment is leaning on my gates, blocking my access to my backyard. Why did they put it there?! Had no access for 4 days. The installers also broke about 4 meters of ridge cap pointing, I only had this done 2 years ago! Now I'm fighting to get my roof fixed. Go with a company that has their own people and not subcontractors. Lesson learned. Hello, we have been making enquiries with our subcontractor about the circumstances with your installation. We have our own installers and our subcontractor has been working with us for 9 years. Occasionally there is a change of personnel , in this case we were not aware of the crew assigned and we have taken this up with the contractor. Quality service and quality installs have always been our method of operation. We have never received a rating of less than 3 out of 5 for any installation. I am personally responsible to ensure that the rectification work is carried out efficiently and effectively at our cost. We sincerely apologise for the inconvenience and will attend to all matters with the best intentions. Hello David, thanks for the review. Greenlink solar were excellent to deal with. Hello Greg, thanks for taking the time for the review. Greenlink Solar quoted very competitively and completed the installation in a most timely manner, despite the recent very hot days. Workmanship appears to be of the highest standard. The follow up with documentation has been excellent. Hello Roger, thanks for taking the time to write a review. We appreciate your feedback and we are here to provide any further service that you may need. Green Link were very easy to deal with. Sales Rep Jackson was informative and responded promptly to our qujeries. Installers worked in extreme heat conditions and did a great job. System working well but have not had a bill yet so we can not give financial results. We have 20 Risen panels and Sungrow inverter which our smart meter indicates that solar is generating far more kwt'h than we are using even with two air conditioners running in this extreme summer. Only installed in late January so have not yet received rebate from SolarVic. Graham Smith and the guys from Greenlink Solar gave a fair price, great service and great after sales support. We installed LG panels and a Fronius inverter and the system is working better than expected. I would highly recommend Greenlink Solar to anyone who likes good old fashioned friendly service and great support. Hello Michael, thanks for taking the time to write a review. We appreciate your feedback. Cheryl is there to support anything information you may need for the Solar Victoria rebate and Jackson is at the ready should you need a hand for the monitoring. I found both Graham Smith, the director, and his installers to be a friendly and knowledgeable bunch of people. Graham made the effort to come out, sit down and go through the setup and answer any questions I had. The poor installers spent the best part on the roof in near 40 degree conditions but did a sterling job nonetheless. Couldn't be happier with the end product. Thanks for the recommendation! Hello Marcus, thank you so much for your kind review. The boys looked a little hot when they returned. They were determined to get it completed on time. Please let me know if you need any assistance getting your wifi connection up and running. 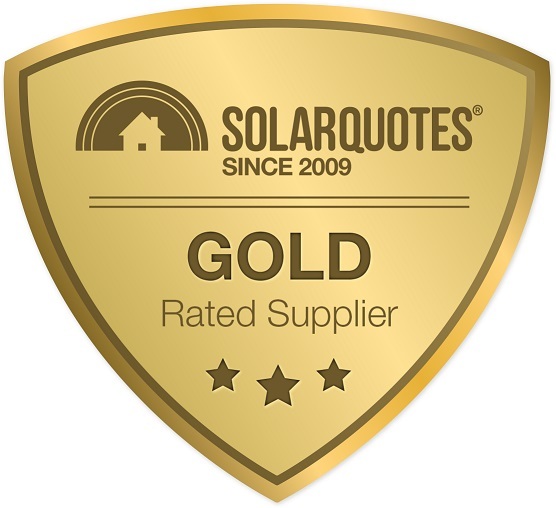 I would recommend greenlink solar without hesitation, from start to finish the services was without fault, all our questions were answered and nothing was to much trouble. Hello Steve, thanks for taking the time to write a review for us. We appreciate your business and please let us know if you need any assistance. Confident sales presentation arrived to site on time and answered all questions installation team did the job efficiently and end fitting was neat and tidy have referred on to friends and relatives. Professional approach from quotation through to installation right up to handover. Jackson's customer service is first class great family business with a personal touch. Thank you for the kind words and being a great customer! Always happy to help out wherever I can. From first consultation, to design of the system and on-site inspection, plus a few phone calls in between - Jackson at GreenLink Solar was a pleasure to deal with and very knowledgeable. He recommended a great system which would fit our personal needs to maximise our payback strategy around our peak usage times (other providers who quoted were not as attentive to this). The only part where I would give 4 stars rather than 5 is that there was a slight breakdown with communication between Jackson's instructions and what the installer had interpreted regarding a modification to our switchboard, meaning the whole job couldn't be finished in one day. But other than that, the experience was great and we are highly satisfied with our product. We would definitely recommend GreenLink Solar to anyone who is thinking about getting rooftop solar. Thank you for the review! We really appreciate the kind words. Thank you for the review Deon. Thanks for the review Craig, we appreciate your feedback. Thanks Kevin for your review. We also appreciate your support with Paul,s enquiry. Graham was really good and I felt he was good to deal with. The installers though were sub contracted and I wasn't impressed with the electrical contractor. Instead of shifting tiles he was kicking them up. I checked and couldn't see any damaged ones but hardly the right way to do things. He also asked me how much we paid as he was planning on going out on his own as the money was BS ( his words). At the end he was rushed and skimmed through the instructions and said he didn't know how the app worked. Still not getting the app to work although I've followed the instructions and it should be. The contractor then rushed through the paperwork and much of it was blank so I was t happy signing but he was rushing. Was then contacted by another person asking for my signature. It seems every part of the business has other people involved. Then had the certifier bond and check the system. As far as the system goes we haven't really been able to see any results yet as the weather has been poor. Fingers crossed. Based on the customer's feedback Greenlink Solar investigated the matter. The electrician is no longer with Greenlink Solar. The customer has been consulted and we have received a Certificate of Electrical Safety and have offered to send another electrician over to look over the system. I got a lot of quotes some were unbelievably cheap and not realistic so I decided to go with GREENLINK SOLAR and I am very glad I did they delivered exactly all that I was expecting and more, the promises made were carried out one week turn around and one day to install. Thanks to Graham and Dillon. Please feel free to call if you require anything. Your paperwork is in at the retailer. Graham and his team at Greenlink solar were a pleasure to deal with from quote to completion.Very neat installation and system seems to be working fine.Waiting for an electricity bill to see results.Regards. Hello Brian, thank you for the complementary review. I hope the Grid can behave from now on. Best wishes to Jim on his recovery. 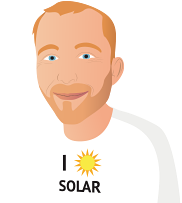 Graham Smith from GreenLink Solar was easily the best installer I spoke with out of the 5 or 6 quotes I received in total. He was 1 of only 2 people that made the time to visit me at my house. Graham was honest and helpful and didn't bombard me with options like some others. The products GreenLink had on offer are great quality and the installation was a breeze and the young bloke was very professional. Overall I'd happily recommend and would definitely call on GreenLink again. Thanks Simon for your feedback. The black frame panels were a great choice for your place. Thanks Tony, we appreciate your business. From the first appointment I liked the company and its approach, it was about what we needed and wanted from solar. Graham attended our property and discussed our needs and planned a system to best suit our situation. We live in forest surrounded by trees so good placement of the panels was very important. He split the panels, one group facing NE and one NW to maximise our system over the whole day. Compared to the two other companies that quoted Greenlink was hands down the best consult, design and the middle quote. There was no hard sell, Graham answered all my questions and they were able to come up with a package that ticked the boxes for us. Install was very quick (2 weeks from signup) and as discussed. We have a tin roof we use for rainwater catchment and the installers were very careful, not leaving anything on the roof. Given they also had to install tilts for many of the panels but they did not have to put any extra holes in the roof either. So impressed. Inverter install is very neat and tidy too. Overall a superb job I feel. One slight glitch we didnt get the WiFi module for the inverter that was in our order. However it was sourced and installed in under a week so I feel confident after-sales service with Greenlink will be good as well. All sorted and working now so monitoring is as easy as looking at my phone. I would highly recommend this company from my experience with them. Thank you for you kind comments Mark. It is a pleasure to be of service. We trust that you will obtain many years of lower electricity costs. All the best to you and family for Christmas and 2018.